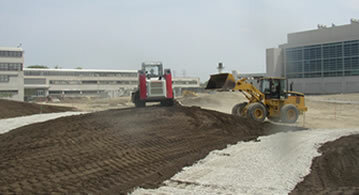 R. Carlson and Sons, Inc. is a leader in commercial and industrial general contracting and excavation services. We deliver professional service, fast turnaround, and superior workmanship to give our clients peace of mind. Our team possesses experience with a wide range of projects. We are capable of acting as advisors, determining the most efficient solution for your needs while respecting your budget and your time constraints. We approach each project with the goal of coming up with the most efficient design solution for our clients. We handle all jobs with attention to detail and care -- no job is too small or too large for us! With any project we take on, we provide our clients with an experienced staff who possess passion, integrity, knowledge, and professionalism. 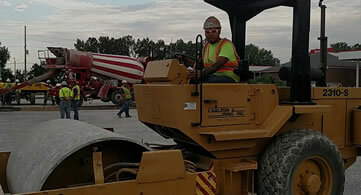 Our team can tackle full service general contracting services for commercial and industrial construction projects, as well as excavation services. We aim to sync excavation work safely so construction can proceed, while minimizing disruptions to your business. As our crews work, we bring in high-quality machinery to boost efficiency, and then clean up the site properly at the end of the day, respecting your commercial or industrial location. 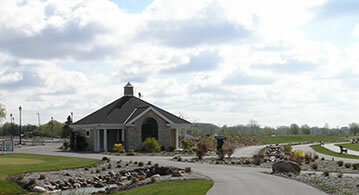 R Carlson and Sons has provided general contractor and excavation services for over 70 years. As a family owned and operated company, we take pride in providing exceptional service to clients. 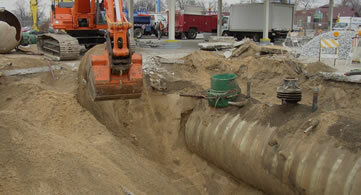 We vet our workers carefully, so you can rely on us to hire only the best construction and excavation professionals. We have worked for independent firms, small companies, large corporations, and Fortune 500 companies. 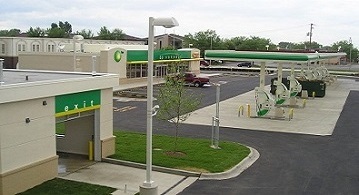 Our experience with commercial and industrial projects is unmatched. To discuss your project, or receive an estimate for general contracting and excavating services, please contact us today. For over 70 years, spanning five generations, our family-owned and operated business has gained extensive experience in a wide range of commercial and industrial projects. For over 70 years, we have been providing outstanding service and the highest quality of work in a wide range of construction projects. 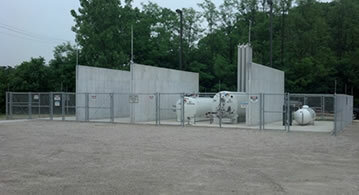 We offer a wide range of construction services including general contracting and excavation. 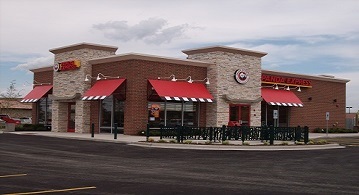 We have worked on projects of all sizes. To learn more about our services or to get more information on how we can help you with your next project, contact us today. 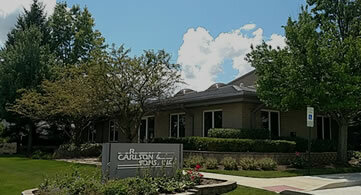 “I have been partnering with R. Carlson & Sons for over 20 years. I like to use the word partnering instead of subcontracting because over the past 20 years we have develop a mutual respect for each other’s business and with each project we worked on the mutual respect has grown into a friendship. It’s nice to see a family business growing from generation to generation. I can only attribute this to strong family values and a great work ethic. “My family has been associated with R. Carlson and Sons for over 30 years. 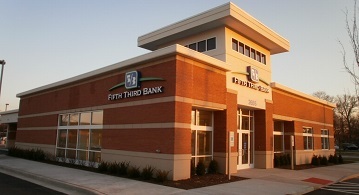 When it came time to design and build-out our new offices, they were the obvious choice. I based my decision on their integrity, honesty and fairness in our dealings over the past 30 years. My decision was correct.